For 21 years, the Business Outreach Center has served as a dynamic forum for sharing technology and resources across community and cultural lines, enabling low- and moderate income entrepreneurs and their communities to gain access to new business-development opportunities. 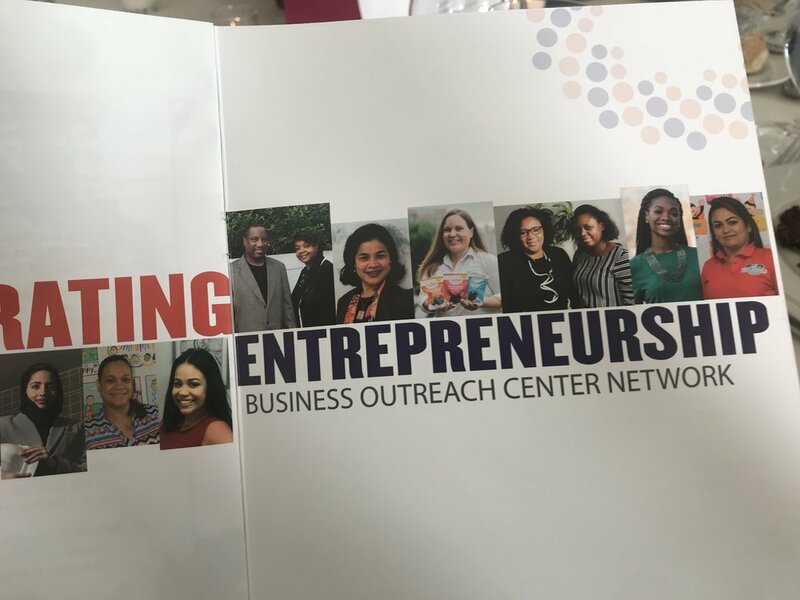 With a particular focus on minorities, women, and immigrant populations with entrepreneurial ambitions, the BOC network benefits a diverse group of enterprising clients. This year’s Awards’ theme was Celebrating Entrepreneurship. On Friday November 16th, they honored a diverse set of clients from each of the five boroughs who are extraordinary entrepreneurs and entirely women and minority owned businesses. We are ecstatic that our founder & CEO Laci Chisholm was recognized as the 2018 BOC Awardee for Entrepreneurship & Community Impact. We are also proud of all of the other award recipients. Please congratulate Laci when you see her and let her know how proud you are of the work she’s doing in the community. See photos below & also listen to Laci’s acceptance speech.